Published on June 2, 1976 in the Boston Globe and republished in The Zinn Reader with the brief introduction below. Memorial Day will be celebrated … by the usual betrayal of the dead, by the hypocritical patriotism of the politicians and contractors preparing for more wars, more graves to receive more flowers on future Memorial Days. The memory of the dead deserves a different dedication. To peace, to defiance of governments. In 1974, I was invited by Tom Winship, the editor of the Boston Globe, who had been bold enough in 1971 to print part of the top secret Pentagon Papers on the history of the Vietnam War, to write a bi-weekly column for the op-ed page of the newspaper. I did that for about a year and a half. The column below appeared June 2, 1976, in connection with that year’s Memorial Day. After it appeared, my column was cancelled. Memorial Day will be celebrated as usual, by high-speed collisions of automobiles and bodies strewn on highways and the sound of ambulance sirens throughout the land. It will also be celebrated by the display of flags, the sound of bugles and drums, by parades and speeches and unthinking applause. It will be celebrated by giant corporations, which make guns, bombs, fighter planes, aircraft carriers and an endless assortment of military junk and which await the $100 billion in contracts to be approved soon by Congress and the President. There was a young woman in New Hampshire who refused to allow her husband, killed in Vietnam, to be given a military burial. She rejected the hollow ceremony ordered by those who sent him and 50,000 others to their deaths. Her courage should be cherished on Memorial Day. There were the B52 pilots who refused to fly those last vicious raids of Nixon’s and Kissinger’s war. Have any of the great universities, so quick to give honorary degrees to God-knows-whom, thought to honor those men at this Commencement time, on this Memorial Day? No politician who voted funds for war, no business contractor for the military, no general who ordered young men into battle, no FBI man who spied on anti-war activities, should be invited to public ceremonies on this sacred day. Let the dead of past wars be honored. Let those who live pledge themselves never to embark on mass slaughter again. Those are the concluding lines of John Dos Passos angry novel 1919. Let us honor him on Memorial Day. And also Thoreau, who went to jail to protest the Mexican War. And Mark Twain, who denounced our war against the Filipinos at the turn of the century. And I.F. Stone, who virtually alone among newspaper editors exposed the fraud and brutality of the Korean War. Let us honor Martin Luther King, who refused the enticements of the White House, and the cautions of associates, and thundered against the war in Vietnam. On Memorial Day we should take note that, in the name of “defense,” our taxes have been used to spend a quarter of a billion dollars on a helicopter assault ship called “the biggest floating lemon,” which was accepted by the Navy although it had over 2,000 major defects at the time of its trial cruise. Meanwhile, there is such a shortage of housing that millions live in dilapidated sections of our cities and millions more are forced to pay high rents or high interest rates on their mortgages. There’s 90 billion for the B1 bomber, but people don’t have money to pay hospital bills. We must be practical, say those whose practicality has consisted of a war every generation. We mustn’t deplete our defenses. Say those who have depleted our youth, stolen our resources. In the end, it is living people, not corpses, creative energy, not destructive rage, which are our only real defense, not just against other governments trying to kill us, but against our own, also trying to kill us. Let us not set out, this Memorial Day, on the same old drunken ride to death. Sadly those things may never happen . . . and we must be willing to settle for remembering those brave men and women who gave everything for others. Going to disagree with that. We have days celebrating those he lists. Taking over this holiday, remembering those who sacrificed isn’t the right thing. If he wants those people celebrated, push for another holiday for them rather then saying we should trample over this one. This is so true, great message for the people this Memorial Day. It made for a blog post for this coming Memorial Day, thank you. You can see it at noon this Monday at Mo Rage Blog. No one’s saying these most important things. Well, another Memorial Day has passed and most Americans and hypocritical politicians have blindly honored “the troops” and put those needing health care on the waiting list for who knows how long. We haven’t learned or changed much since the World Wars. As a veteran of a peacetime military, and daughter, wife, and granddaughter of wartime veterans, I agree completely. There is no such thing as a sensible war, a good war, or a just war – there is only many young men and women dead on the fields, their lives cut short by this insanity; their potential eliminated. What could the war dead have given the world if they had lived? So senseless. 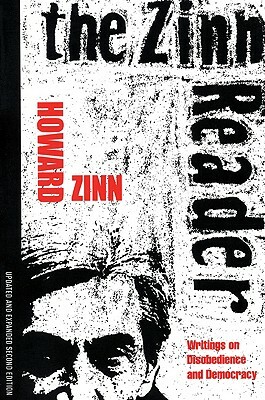 And as for the person who asked where Zinn’s voice is now…he died in June of 2010. I can only hope that others will take up his banner and continue the fight! The TEA Party are the minions of the owners of the tube, bought with blood money, over the bodies of our fallen soldiers. 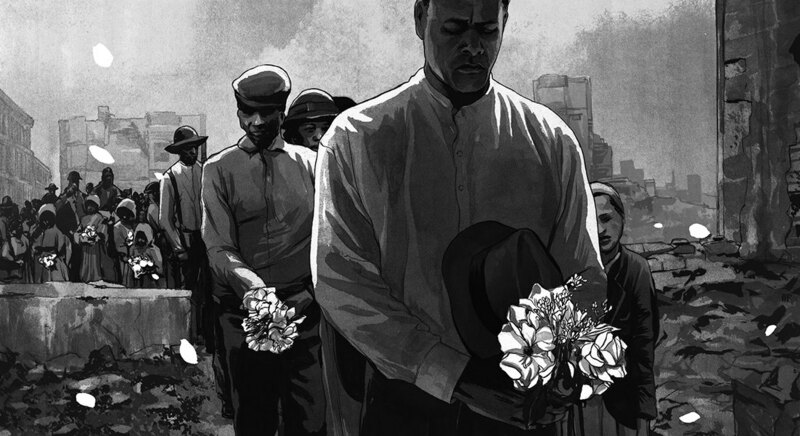 This excellent essay should be required reading in every school, on every Memorial Day. How is it that sane voices like Howard Zinn are effectively silenced while Fox News and the Tea Party and the Republicans are heard incessantly, blathering about inconsequential things while the USA goes down the tubes? There is much to think about and to sort out here. There is an inherent saddness in the reality that we still continue to destroy one another in the name of peacand self defense and have not yet evolved in spite of all of humankinds great and wonderous accomplishments to be able to sit down and find ways to. Adjudicate issues in the name of human dignity, equity,morality, compassion, forgiveness and peace. It is a quagmire for all people who in gage in the process of critical dispassionate thinking in an effort to find real enduring meaningful solutions to this issue as as well as so many others that denigrate the notion that we are spiritually imbued fully human beings. The observations referenced in this piece cannot be easily dismissed by people of conscience nor can they be skewed into the realm of self righteousness. There is too much at stake here and Mr Zinn has given us real cause to move inward to discern the wisdom of our hearts knowing then, to actualize a different reality for all of humankind as well as all life forms on our planet. Simplicity in its expression is often found to be complex in its realization. This post serves all of us today what ever atones perspective is! He is correct. Where is his voice today? Has he not been noted for his work? This is what we need said loudly and often. A resounding AMEN to this pronouncement. And we wonder why the soul of a nation is rent asunder; as well, the souls of our young warriors sent off to do another’s bidding. Humans have always believed all sorts of nonsense, but the solemn glorification of war was the most inane… until the industrial revolution when humans began a war against all of nature, putting profit and power ahead of the well-being of our planet and of all its people. Like a virus that has run its course, human societies have exhausted their welcome…an evolutionary blip. Wow! This is spectacular and spectacularly true. I have felt the same way for some time. Let there be a Memorial Day to celebrate peace, and let there be a turning of our government to the needs of the people here in the United States whose way of life has been sacrificed on the altar of war. and yet yesterday, today and tomorrow, our men and women of the armed forces will be maimed and killed in Afghanistan for nothing. No good will come from their sacrifice. Allowing this to go on should be a capital crime. Mis respetos para quienes expresan puntos de vista como los aquí expuestos. Últimamente, puntos de vista como éstos, brillan por su ausencia tanto como la libertad de prensa, un falacia de este sistema y de esta nación, la cual tampoco existe. Cuando un país celebra más el trabajo de un soldado que el de una maestra, tiene síntomas de decadencia. A heroic voice, silenced, as are all such voices, by the craven and venal manipulators of public knowledge. Happened then, and it happens now. Chilling. I never heard Howard Zinn talk except on you tube but one fine day in May, I snuk (sneaked?) out of my office in the OSU Engineering Experiment Station, where I worked on a project funded by the Department of the Army (of no practical consequence), to tag along with some marchers demonstrating against the war in Vietnam. Everyone thought I was an FBI agent with my buzz cut, blue jacket and power tie but the organizer, decided to take me to their headquarters at the Unitarian Church where I found the son of a business and golfing buddy (who had asked me to intervene and convince not to be a draft resistor) stuffing envelopes with anti war materials destined for the trash cans of most of the addressees; I woke up- I took 2 courses about the war and Vietnam’s history and 6-months later I found myself in jail as the first ‘arrestee, having been pushed in the back — by an agent provocateur — out into ‘no man’s land’ between the police and demonstrators at one of the entrances to the university. Overnight, in that dank cell, I had some meaningful conversations with a few of the provocateurs, inmates brought down to participate from the Mansfield state prison, which were part of my profound awakening that lead to a lifetime pattern of anger and off-and-on-again activism and now to the war-against-the-core. Thank you BAT Susan DuFresne for posting this article and for helping to bring me back in touch with like-minded patriots. With my particular perspective, I can see that we will win this fight. Thanks to the person who shared this link on their face book page. I hope others pass it on and it becomes something we read every year. More than that, Howard Zinn, a true HERO, who SPOKE TRUTH to POWER. He was fired, but still continued to speak up. Now Noam Chomsky is still ALIVE….can we listen to him too? Amy Goodman? Rachel Maddow? Even Jon Stewart, who says he is only a comedian, but his Daily Show speaks to power each day he’s on! Bill Maher, Arrianna Huffington, Colbert; we have many people who speak truth to power each day. I am tired of “just listening and agreeing!” ACTION is REQUIRED! Oh my god…..” Spot ON” !! To me the only war that was jusified was our entry into world War 2, although they have being going on since our very beginnings. I remember reading this on the air at WBCN and on WZBC when I was on the air, the whole thing, over a bed of a Leonard Cohen instrumental (Tacoma Trailer off THE FUTURE) The Globe reprinted this one year of the 90’s and it always stuck with me and I wanted to give it the honor and dignity it deserved! and I honor my great uncle Martin Meehan, off the ship from Ireland, drafted into US Army. Sent to fight in WW I in the trenches. Came home broken, PTSD, “shell shock”, disoriented, hallucinating, no chance for a normal life, became alcoholic, lived with my grandparents all his life, died penniless and almost forgotten in a mental hospital. buried with no headstone……WHY? I just read this to my 8 year old son. I pray he will be a warrior for peace. This is so fine. The only thing it is missing is acknowledgement of those killed in wars–for whatever purpose–who are not “ours.” I think today this would be considered a mild statement partly because of that omission. What a succinct and perfect short essay for this Memorial Day, so many years later. America needs MANY more like Howard Zinn in its ranks who have the power of the pen to speak from direct experience and education to the truth.